I just finished telling you why not to boil vegetables in my roast chard recipe. 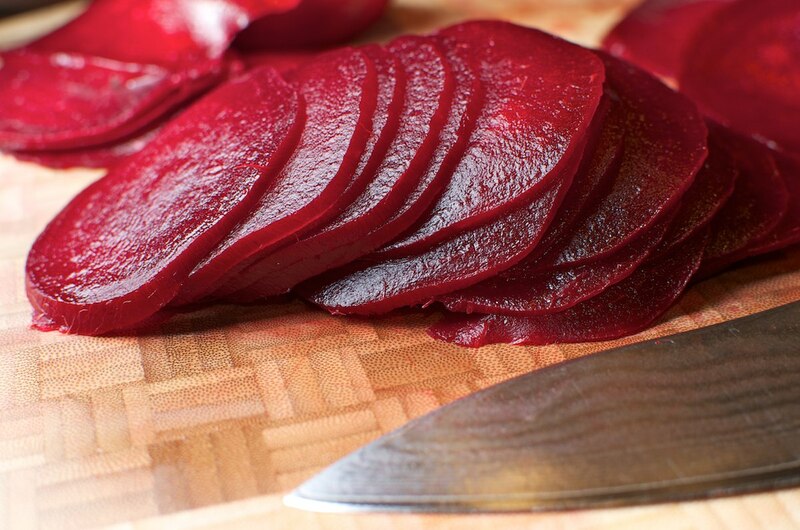 Now please enjoy this recipe for boiled beets. Wha? Everything I said in the linked post is true. Roast beats are delicious, and certainly more boldly flavored than these, but this recipe is about subtlety, texture, and letting some really great olive oil play equal co-star. Sure, boiling doesn’t bring out and intensify flavors like dry heat methods, but it is gentle, and preserves the tender, moist texture of lovely beets. 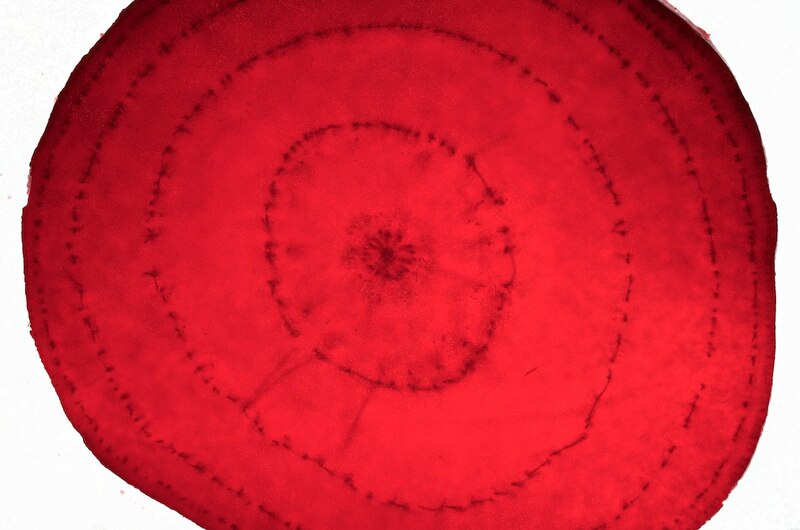 A word about slicing… Slicing them thin and evenly is hard. If your beets are small enough, try the slicing face of your box grater. If you have a mandolin or even a meat slicer, you should give that I try. I sliced these by hand, and really, even thinner would have been better. This recipe is about simplicity. Three ingredients. Get the best ingredients you can, and treat them with care, and even simple combinations can be outstanding. In fact, the simplest recipes are almost always my favorites. If simplicity isn’t your thing, I wouldn’t harumph too much if you tried sprinkling on a little good balsamic vinegar, or some fresh ground pepper, or even some little blobs of chevre. But don’t push your luck. IF YOU CAN'T SLICE THEM THIS THIN, I'LL.... MOCK YOU? Cover the beets with water and boil. It will take between 20 minutes and 40 minutes depending on the size of the beets. Check by piercing with a thin blade. You want to feel similar (low) resistance from edge to center. Don’t check too many times, each time you do, you leave a wound in the beet that will make the slices ugly later. Let cool enough that you can handle them, then scrape the skin off with the edge of a spoon or fork. Slice as thin as you can with a sharp knife, slicer, or mandolin. Arrange the slices on a platter, and drizzle with really good oil, and sprinkle with course salt. This was written by cedar. Posted on Monday, February 28, 2011, at 9:57 am. Filed under Recipes. Tagged easy, hor d'oeuvres, sides, vegetables. Bookmark the permalink. Follow comments here with the RSS feed. Post a comment or leave a trackback. 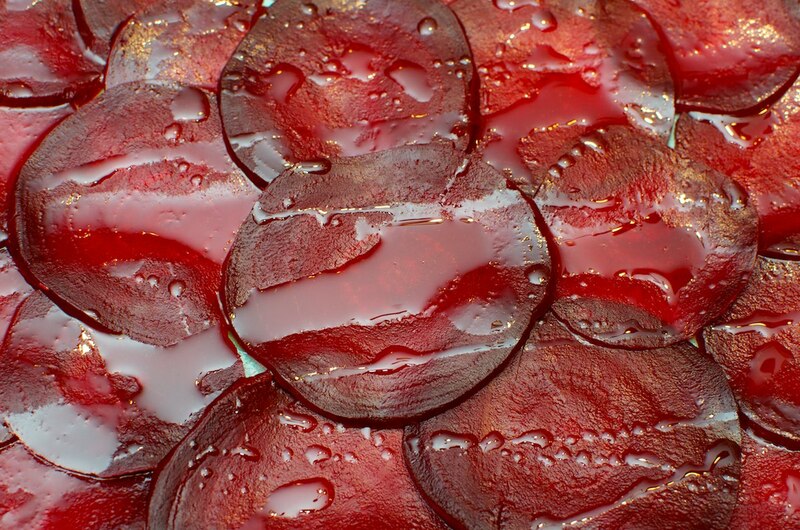 My wife Jenny loves beets, I’m gonna send this recipe to her. Have tried using golden beets. I don’t have strong feelings about beets but sometimes when we eat them it looks like we just sacrificed a small animal. I noticed your knife, is that a Shun? Good eye Roger, it is a Shun. I like it a lot, though shun blades are quite brittle. Beautiful site, layout, pics, simple design…and yummy looking foodies. Nice work, Cedar! Wrong! 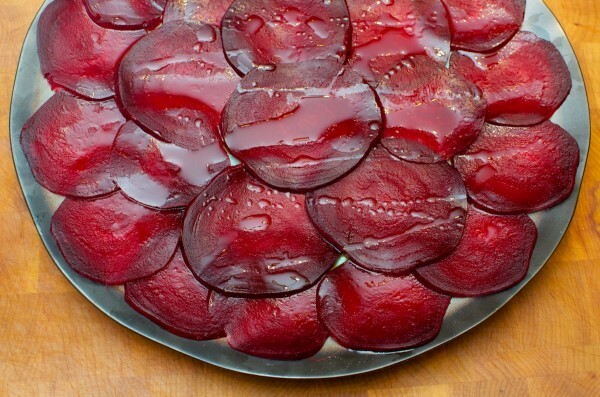 I don’t like beets – these included – but there’s a way to eat them! It’s a beet-carrot soup (and, coincidentally, I dislike cooked carrots as well). About half and half chopped beets and cooked carrots in a pot (maybe first do the sauteed onion and garlic dance), just cover with water, cook until blendable, add things like lemon juice, coconut milk, more garlic, curry if you’re feeling adventurous, etc. Might be a good one for you to play with.